Traditional Chinese adore women with small bounded feet. 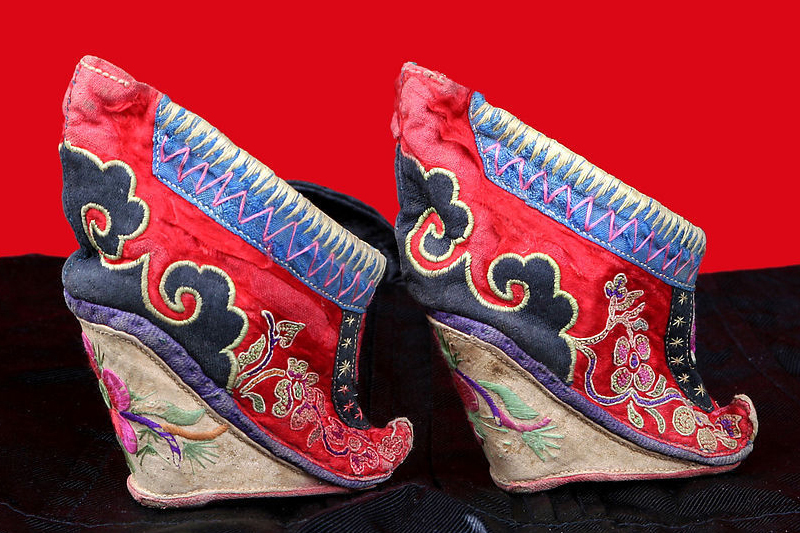 The shoes worn by women with bounded feet were called "golden lotuses", because the heads of such shoes were usually sharp and the bent soles were like a bow. The overall shape of the shoe was like a lotus petal, hence the name. 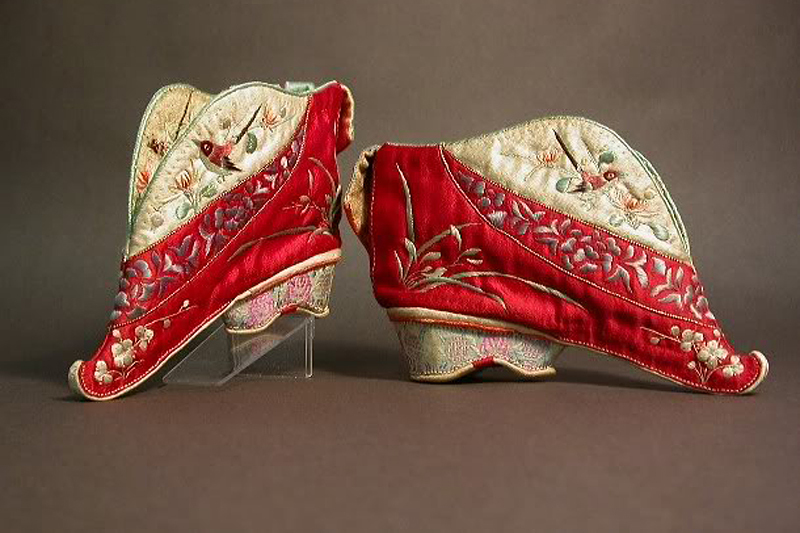 Extremely small shoes were called"three-inch golden lotus shoes". That's about 7cm in in length. 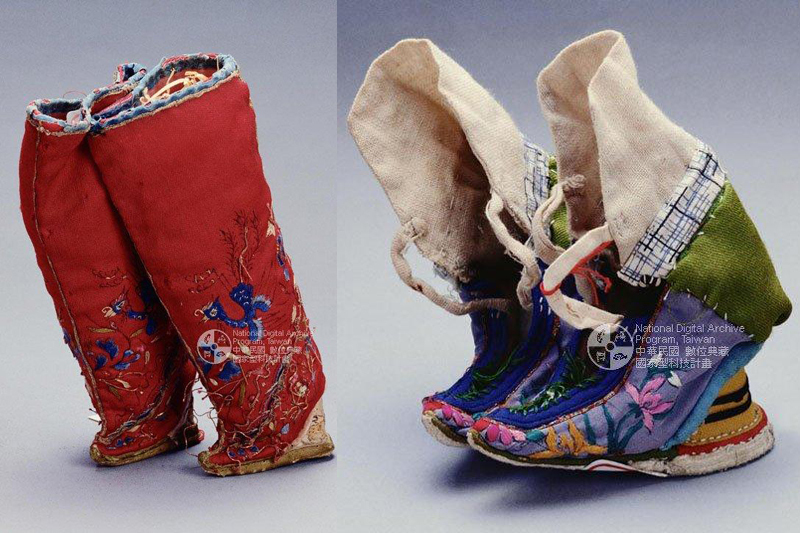 Women in the past would embroider the shoes with exquisite patterns with their clever hands. The handmade shoes are beautiful but I can't image the pain very women have to go through for foot blinding.